In 2017, Honda Cars India had confirmed launching six all-new cars in the country. The Japanese car major has already launched the new-gen Civic, Amaze and the CR-V from that list. We believe the Honda HR-V crossover could be one of the three cars that will be launched till 2020. 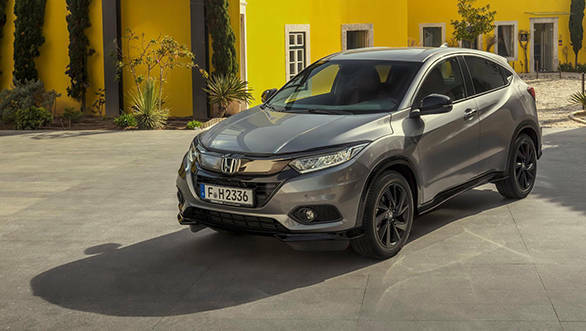 Last year, Honda updated the HR-V crossover with a design update for the European market. If Honda India decides to launch the HR-V crossover in India, it will take on the likes of Nissan Kicks, Hyundai Creta and the Jeep Compass in India. In terms of design, the 2019 Honda HR-V crossover gets redesigned headlights with new projector lenses. Honda has also updated the design of LED DRLs. The crossover has also got a mild tweak in the bumper design that looks a bit sportier than before. The bumper also houses circular fog lamps. The tail gate of the 2019 Honda HR-V too has been updated with a chrome bar over the license plate, similar to the one in the front. 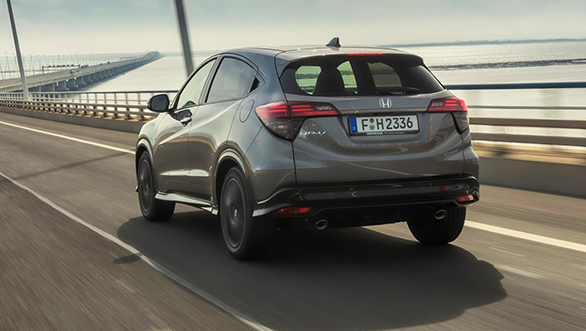 The top-spec trims of the 2019 Honda HR-V get all-LED lights, newly designed 17-inch alloy wheels, chrome tipped exhaust and also a darker tint on the rear lights. Honda has also introduced a new midnight blue beam metallic shade that is a part of the eight shades that will be offered on the 2019 Honda HR-V crossover. The cabin of the 2019 Honda HR-V crossover has been updated with more comfortable front seats with better cushioning. The materials used in the trims of the 2019 iteration is believed to be more upmarket and premium than before. The top-spec will come with a combination of leather and fabric seats. Honda also mentions that the NVH of the updated HR-V have been worked upon to offer a quieter ride experience. Importantly, the more premium variants of the Honda HR-V will come with Active Noise Cancellation (ANC) that makes use of two microphones mounted inside the cabin to record the low-frequency noises. The system then sends "precisely-timed 'reverse phase' audio signals" through the audio system's speakers to cancel the unnecessary noise inside the cabin.